Art by Shano: Illustration Friday "E is for . . . "
This week's theme at Illustration Friday is "E is for . . . "
Because it's Saturday morning and my children and Lula woke me up FAR TOO DAMN EARLY I am a bit cranky. So no explanations for you! No clevah comments! Nothing. 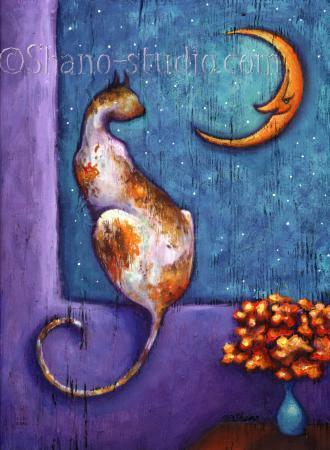 Just a damn painting I did years ago of a cat looking at the moon titled Equanimity. Great art. Just browsing and saw your work. Ha! Love your comment. And the drawing is delicious: the shape of the cat is inspired! Did you paint it on wood? the moon has the most wonderful face! love the cat, window, wall, moon. i love it all! Love your art and after looking through everything, this cat and moon is my very favorite! So elegant. Very well done and the colours are very tasteful. Great work. Beautifully done.... especially claming and serene. Love the colors and the curl of the cat's tail. 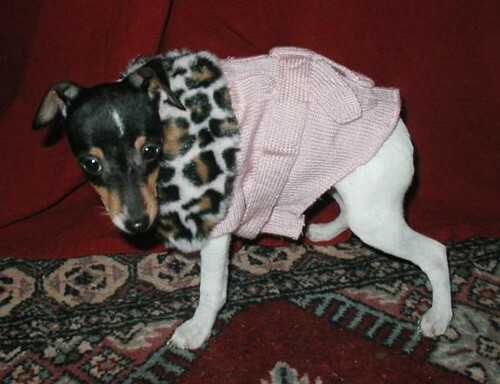 You have great style! I love the sinuous body on that cat! The whole painting is fabulous...very full of nighttime energy. It's very voluptuous. I like the shapes, colors, texture, composition and subject. Well, there you go, I like everything about it. This is really beautiful. I'm glad you posted it. Lovely design.